Case Study - M.Davis & Sons, Inc.
M.Davis is an industrial construction company that builds, installs and maintains corporate plants and facilities for national and international companies. M.Davis also provides mechanical and electrical projects, pipe fabrications and also installs advanced automated process control systems. M.Davis & Sons began in 1870 and is currently managed by CEO Peggy Davis Del Fabbro, the great-great granddaughter of founder Edward R. Davis. 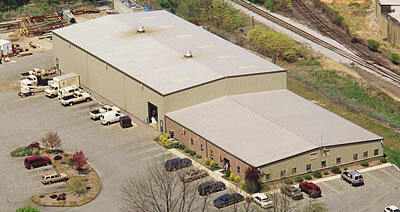 The company has several locations and is headquartered in Wilmington, Delaware. 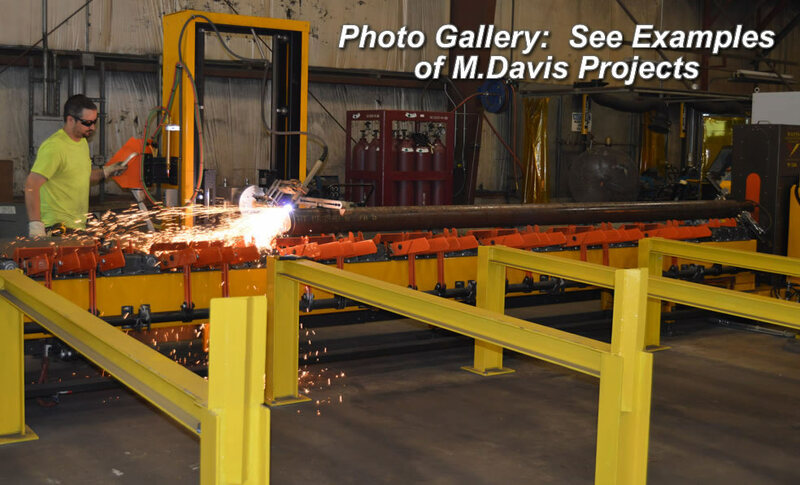 M.Davis uses their Hadco Road Shop in Wilmington, Delaware to fabricate pipe for process skids, tanks, structural steel projects, and PSM critical piping projects that demand MTR (Material Test Report). 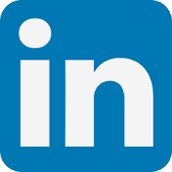 M.Davis is an ASME code shop and fabricates API, high purity piping and pressure vessels. M.Davis uses the Watts-Mueller W-244 for all of their pipe fabrication projects. 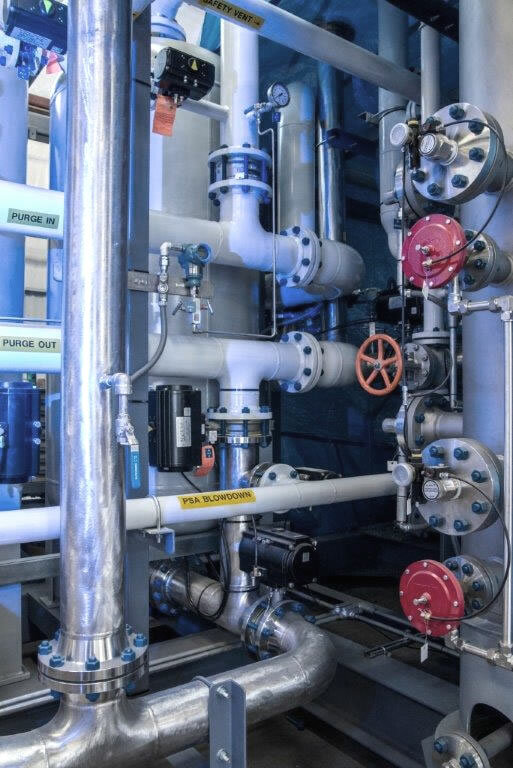 "Prior to purchasing the Watts-Mueller machine," said John Bonk, President of M.Davis & Sons, "we shipped piping and machinery on-site and did our fabrications in the field. I became convinced that we could save a lot of time and money by using the Watts-Mueller machine and PypeServer software. Now we fabricate in our Hadco shop, then ship the finished product on-site. We are getting amazing results." "We purchased the Watts-Mueller W-244 System with PypeServer Software and started using it the first week of June 2015, but I saw savings in our first week" said Bonk. "We just completed a 16" pipe project. I had calculated and budgeted that the project would require 40 manhours for drawing, cutting and beveling. We did the project in 3 manhours! I knew we were going to save time and money with this machine, but that project was the beginning of seeing results." "Initially we were going to purchase a 12" machine," continued Bonk. "Twelve inch piping would cover probably 80% of what we do, but I decided to go bigger and I am glad we made that decision. We are now landing larger piping projects that our prior pricing model would have made very non-competitive. We are getting ready to build 35 12" pressure vessels. Prior to having the Watts-Mueller machine we could not have landed this job due to the number of vessels needed and the turn-around time. Not only can we successfully complete this job, but we will get done far more quickly than in the days prior to the W-244 machine." 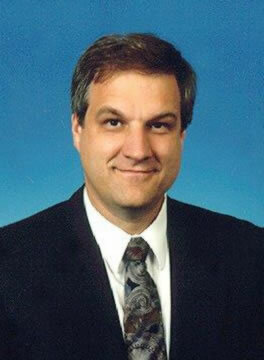 John Bonk has more than 30 years of experience in the construction industry. He started his career as a project engineer at M.Davis & Sons, Inc. in 1978. He worked his way up through the company to become a project manager, executive vice president and then was named president in 1998. As president, John Bonk is responsible for leading corporate operations to support the strategic goals of the company, as well as to continue to develop organizational framework including Sales, Marketing, Quality Control and Finance. Can You Give any Specifics on how Watts has made Your Operation more Efficient? "Efficiencies come from a number of areas, but let me begin with PypeServer software," said Bonk. "Using the 3D drawing tool serves as a time and product estimation tool - that saves time and money. Many of our projects are PSM critical piping and demand MTRs (Material Test Report). PypeServer not only lays the job out, but gives the MTR data and saves it in our database. We can easily produce MTRs when needed for any project." "Whenever we fabricate a set of identical skids or a skid project we have done before we save even more time. All we do is pull up the 3D drawings and load the pipe. 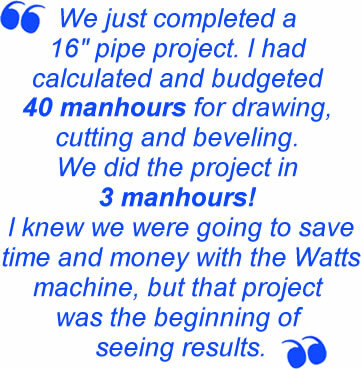 The Watts machine cuts nested pipe faster than we can get the next pipe ready to load." How Difficult was it to Get the Watts Equipment Running? "Once we decided to go with Watts, we sent two of our guys to the Watts facility in Seattle for three days. We sent a shop supervisor and a CAD operator to be trained on the very machine we had just purchased. At the end of those three days our guys returned home and Watts-Mueller shipped the machine. Initial set up was easy - our guys knew exactly how to do it and how to get the machine going. I saw our savings in our first week of production." "Watts-Mueller is always available for questions or problems. If we run into an issue we call their office. They answer the phone or get back to us. They are very supportive." "Overall, using the Watts-Mueller machine REALLY saves us when it comes to tangentials and the more difficult cuts and fits. It is becoming more difficult to find experienced pipe fitters and technicians. With Watts and PypeServer we are finding that we can get the job done with fewer skilled laborers. This drives our cost down, so we are winning more projects and bringing in more revenue."